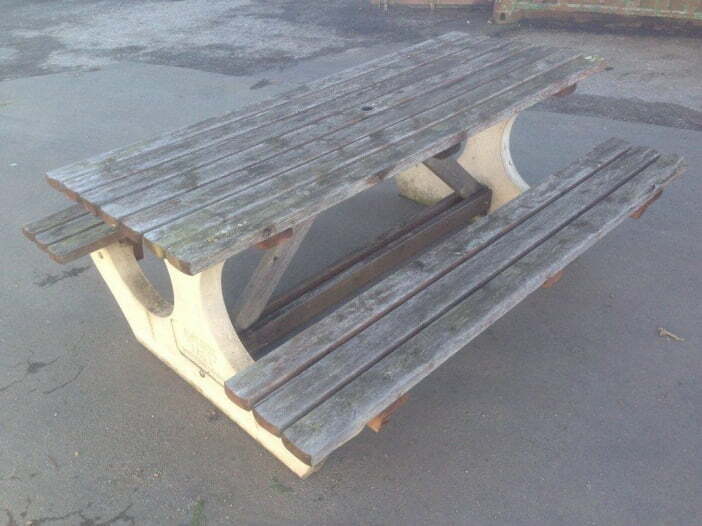 Anchorfast offer a full replacement timber service for our concrete range of products. If you have any of the concrete range that is in disrepair, why not replace the timber to bring the product back to life. Pressure washing the concrete of the bench can also make a huge difference as shown in the images below. Please note we do not offer Pressure washing as a service but can easily be done using a standard jet washer. 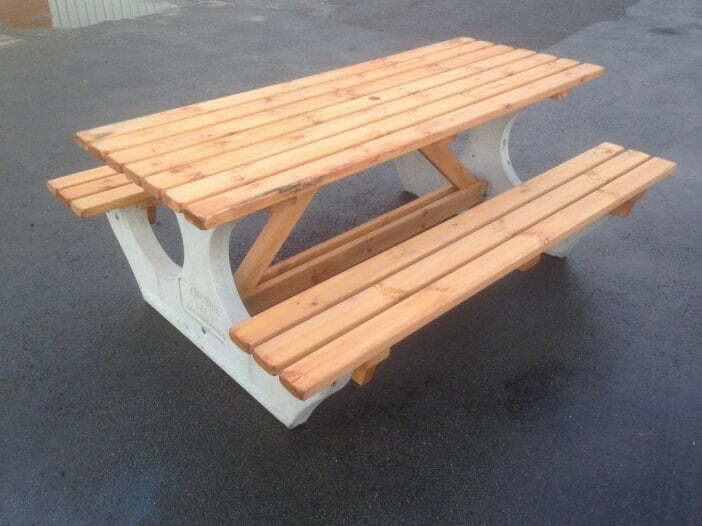 To find out more about the replacement timber service we offer, contact us today!